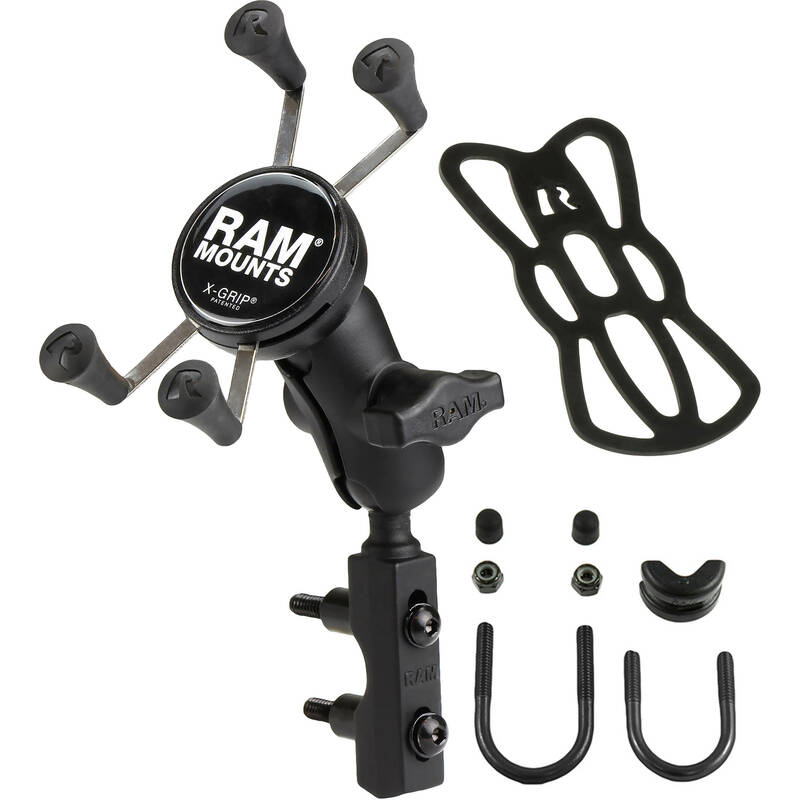 Stay connected while carving canyons with the RAM MOUNTS Brake/Clutch Reservoir Mount with Universal X-Grip Cell Phone Holder. This X-Grip holds most smartphones, including ones with protective cases or sleeves. Its spring-loaded cradle expands to fit your device and holds it with rubber-coated tips. A tether adds additional security while riding, while a pair of ball joints let you precisely position your device. The mount is compatible with brake and clutch reservoirs with hole center spacing from 0.94 to 1.58". It also can be attached to rails 0.5 to 1.25" in diameter. The cradle can be oriented horizontally or vertically, depending on the size of your device. It holds smartphones 1.875 to 3.25" wide. Devices at the minimum (1.875") width must be at least 4.25" long, while devices at the maximum (3.25") width must be at least 2.25" long. Maximum depth is 0.875". Please measure your device with the protective case or sleeve that you plan to use. Box Dimensions (LxWxH) 7.2 x 5.2 x 1.2"